The Bellingham Fire Department was established in 1904. Their well-seasoned department supports fire fighter training for many of the districts in Whatcom County Washington. Annual “Forcible Entry Training” uses props to simulate locked buildings that the crews must break into, in case a fire requires rescue access to the inside of a building. The Bellingham Fire Department uses salvaged materials from The RE Store and Overhead Door Company to help reduce costs in their training exercises. 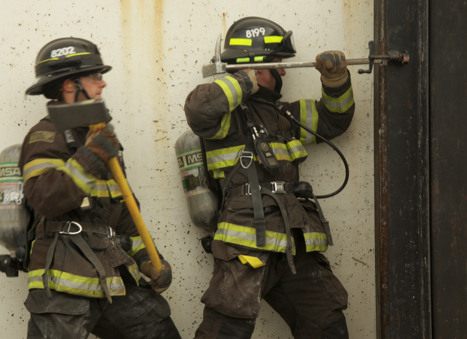 It also makes good sense to utilize already used doors that will be destroyed anyways in the training exercises. Watch these brave and highly regarded men and women in the following video as they keep themselves fit and ready for the next emergency. If your community group or business needs materials, The RE Store welcomes your requests for building materials, gift certificates for fundraising events and other in-kind support.